We’re all about having our cake and eating it too and in lots of our recipes you’ll find subtle substitutions: replacing a portion of flour with ground almonds for a spongy, melting crumb, switching out sugar for its golden cousin honey, or opting for nutty spelt flour in favour of plain. Someone who is as crafty and clever with ingredients – much more so than us – is Howard Middleton. 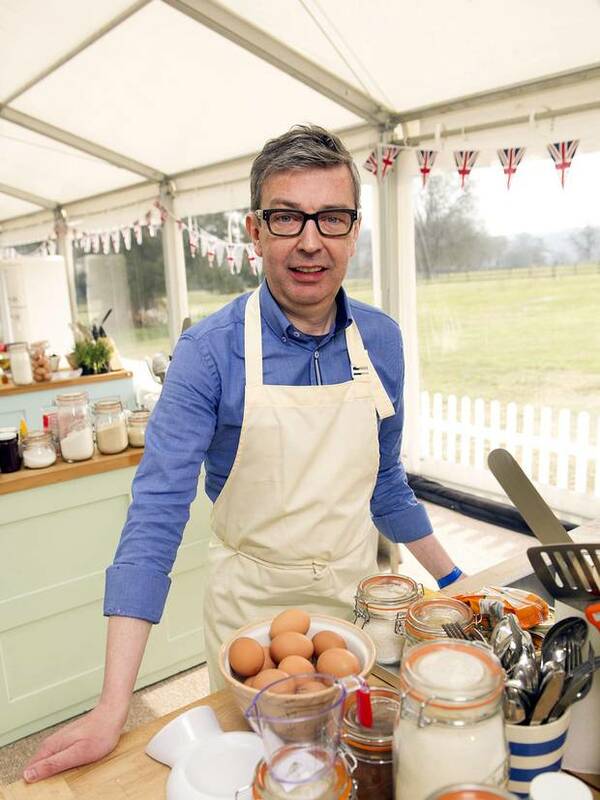 Star of The Great British Bake Off, he’s famed for his unique ingredients, custard-gate and hoarding hemp upon poor Mary Berry. We adored watching him on our screens; though we willed him to go further he bowed out half way through series four and two years later is now releasing his first cookbook. We adored your take on free-from baking – of which you were really the first to champion and stick to on GBBO – what made you focus on gluten-free bakes with alternative ingredients? I have friends and family who have different dietary needs so it’s always seemed natural for me to cook things accordingly. My first bake on the Bake Off – the gluten-free coconut and passion fruit cake – had such a positive response, and people started asking me for more gluten-free recipes. But I also love introducing ingredients that people might not have used before – like the infamous hemp flour! Definitely a talking point! What was your favourite challenge on the show? I think it has to be the tea-flavoured biscuit tower I made, shaped like a Japanese pagoda. I was having a bad week, but I managed to turn things around with that showstopper. It kept me in another week. Which GBBO category represents you best as a baker? Methodical and mellow technical; simple and classic Signature; or edgy, innovative showstopper? I’m definitely not a ‘technical’ baker – those were the challenges I dreaded. I like to be innovative and edgy, but I do like simple things too. On balance, let’s go for ‘showstopper’! How has TV exposure changed your daily life? Can you still pop along to the large supermarket and not get stopped for a chat or photo? It’s true that you never know when you’ll be recognised. You can go days without someone recognising you, then you get a little flurry of people wanting a photo and a chat. I was on holiday in Copenhagen recently and someone came up for a chat while Peter and I were having brunch – people love Bake Off so much that you always have to be prepared for things like that! What exciting flavour combinations or new twists to tradition are you most proud of in your debut book? I’m hoping that people will get as passionate as I am about flour and try ones they haven’t used before, along with other unusual ingredients like amaranth flakes. My Blue Lavender and Amaranth Cake uses them with fresh blueberries, lemon and a whisper of lavender. If you had to choose just two recipes that we simply must try – one sin-free and healthy, the other devilishly indulgent – what would they be? For a sin-free recipe, try my Hot Potatoes – an Indian inspired canapé that’s virtuous in its ingredients but packs a flavour punch. More indulgent – I’d suggest Baci di Uomo – a ‘butched up’ version of the classic Italian biscuit, Baci di Dama (ladies’ kisses), for those of us who prefer a more masculine kiss! Those sound like fantastic edible gifts this Christmas! How did you find inspiration to create your recipes for the book and who is it aimed at? Part of my inspiration comes from requests – people asking me for specific gluten-free recipes like a Swiss roll or a teacake. But I also get inspiration from seeing ingredients in shops and online and then experimenting with them. And there are one or two bakes where the name came first – something I liked the sound of – and then I had to come up with a recipe to match! 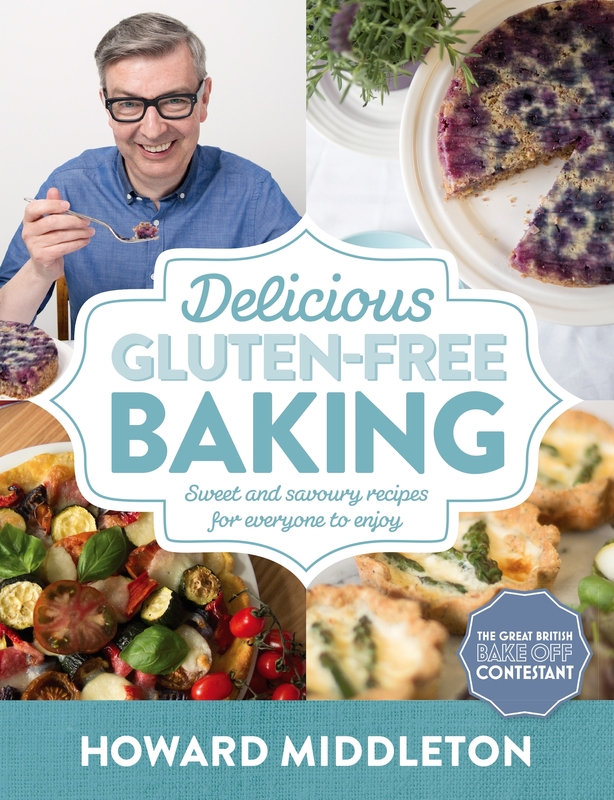 The book isn’t just aimed at people who have to avoid gluten, or even those who find they have to bake something for someone else who is. It’s for anyone who just wants to try something different too. Maybe it’s complete ignorance on our part, but we both only lately realised that rice is gluten-free! Shame on us, what other myths would you love to de-bunk or revelations would you like to share about a gluten-free/wheat-free diet? I think readers may be surprised to see some other very familiar ingredients that are gluten free – things like potatoes, polenta, and cornflour. And most flourless bakes are gluten free too – meringues, for example. But I’ve given these recipes a new twist. We’ve recently been crunching the numbers, scrutinising the ingredients on packaging, exploring a high fat/higher protein diet and including some superfoods in our diet – what’s your secret to your health, weight, appetite and wellbeing? Peter and I try to eat sensibly, with plenty of fresh veg, salads and fruit, but we both have our weaknesses. Mine are crisps, cheese and red wine, so I do have to watch what I eat in order to be able to splurge occasionally. I run about 5km every other morning before work (on the days when I’m not running I get up and do my ‘baking paperwork’). And I don’t drive, so I walk everywhere too. What’s the best baking tip or piece of insider advice that you’d love to pass on? I think lining cake tins is one of the most boring jobs ever, so I discipline myself to do this first and get it out of the way. But if I’m lining a loaf tin (or a tart tin when blind baking) I never bother to cut the baking parchment neatly – just tear a sheet off, scrunch it into a ball, then flatten the ‘distressed’ paper to fit. What five utensils could you not live without? What’s your dream for the future now? Continue penning cookbooks and developing unique recipes? Starting the Middleton specialist bakery or a catering company? I’d love to keep writing. I’m not disciplined enough to bake or cater full time – every time I do a wedding cake I say “never again”. And sadly the market is so competitive that people who dream of opening their own bakery or teashop often find it turns into a nightmare. But I’ll go with the flow and see what opportunities come along next. What’s your stance on the influx and influence of ‘wellbeing bloggers’? Finally having their voice heard or clogging the airwaves and jumping on the bandwagon? I think there’s always room for someone with different opinions and a fresh voice. Well, at least I hope so – I may be in trouble if there isn’t!